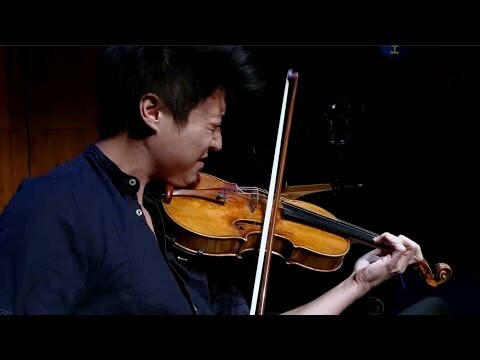 From the Vilar Performing Arts Center in Beaver Creek, Colorado, this week’s From the Top features the ground-breaking violinist Charles Yang as the guest host. He’ll share the stage with a joyful teenager whose winning personality propelled her to take home the gold medal at the prestigious 2018 Stulberg International String Competition. We’ll also meet a young erhu player, an instrument known to some as the “Chinese violin”, who plays “Taichi Warrior of Erhu” by Chen Jun. Pianist Peter Dugan is equally at home in classical, jazz, and pop idioms, and has performed with artists ranging from Itzhak Perlman and Joshua Bell to Jesse Colin Young and Glenn Close. “Carmen Fantasie” by Franz Waxman (1906-1967) with Guest Artist Peter Dugan, piano. Tai Ji Qin Xia (Taichi Warrior of Erhu), by Chen Jun (b. 1968). III. Salmon Lake from Sonata “Three Lakes” for Flute and Piano by Daniel Dorff (b. 1956)with Guest Artist Peter Dugan, piano. Scott’s performance is part of From the Top’s New Music Series. I. India from Libra Sonatine by Roland Dyens (1955-2016). Paraphrase on Figaro’s Aria from Rossini’s “Barber of Seville” by Grigory Ginzburg (1904-1961). Scott Quirk’s performance is part of From the Top’s New Music Series, supported in part by the Amphion Foundation and the Aaron Copland Fund for Music.